Short Business Description: We offer life coaching, energy healing and other consulting services. We offer life coaching and coaching specialties, energy healing in several modalities and other consulting services. Short Business Description: We provide a holistic approach to health and wellness in a safe and welcoming atmosphere. Using Reiki, Meditation, Angel Therapy and Massage Therapy, we bring a well rounded compliment of services to our clients who are looking for a holistic approach to health and wellness. We also offer a complete line of nutritional supplements and weight loss program. We have over 50 years of safe, proven and guaranteed products that we offer. Short Business Description: Reiki, Antojai, and Quantum Chakra Energy Healing. Over 21 years of experience in Medical Shamanism and Alternative Medicine. We offer Metaphysical Naturalism, Reiki Mastery, Antojai Ascension Courses; metaphysical solutions, jewelry, feng shui consulting, home blessing, and psychic training. We help the community through a fusion of ancient healing arts with modern psychological advances to bring a higher level of healing to you and your loved ones. 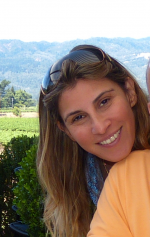 Master Antojai has trained all over the world, and is one of the leading researchers in energetic medicine applications. Short Business Description: Reiki, Crystal Reiki, Essential oils Therapy in a Garden Vineyard setting. AQUA ĈIELE ę TÉRRE was born in the high altitude Grasslands of Sonoita located on small hills with beautiful views of the Santa Rita Mountains. Our micro vineyard and botanical gardens are gifted with monsoon rains, magnificent sky and the red earth for making superb wine. We follow the philosophy of alignment with nature for the development of our vines, wines, and botanicals. 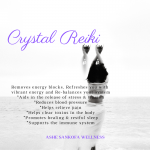 We provide Reiki Sessions, Crystal Reiki, Plant Base Diet consulting and Essential Oil Therapy. Short Business Description: Ashe Sankofa Wellness brings awareness to self transformation & empowers you to take well-being into your own hands. Short Business Description: Reiki – in person and distance, Massage and Coaching, Workshops and Reiki Level 1 & 2 Classes. My name is Marianne Stenhouse and I am a Reiki master, massage therapist and a licensed clinical social worker. My focus is to work with the whole person; mind, body and spirit. Reiki has been powerful and extremely meaningful to me both personally and professionally and I find my focus moving more towards this specialty every day. I provide in person Reiki sessions as well as distance sessions. I teach Reiki Level 1& 2 classes as well as workshops in mindfulness, self-care reiki practices and personal growth. 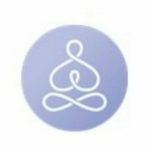 Short Business Description: Blissful Heart Studio provides a safe, supportive space for compassionately healing Mind, Body, & Soul. Greetings! At Blissful Heart Studio we are dedicated to compassionate healing for the Mind, Body, and Soul. We offer a wide range of modalities to shift, uplift, & transform your energy into the pure radiance! Modalities include Usui Reiki, as well as Karuna Ki & Crystal Reiki, Sacred Presence Coaching, Shamanic Services, Crystal Energy Therapy, Angelic Communication, Massage Therapy, Yoga Sessions. 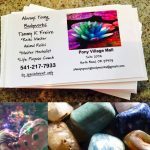 We also offer one-of-a-kind, unique Malas & Sacred Inspirational Jewelry through the new addition of AngelFire Creative custom designs! 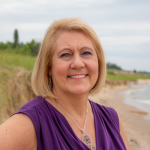 Short Business Description: Cecilia Bailey is a Relationship Coach and Reiki Practitioner located in Southern Connecticut but also available for long distance sessions. She is an animal lover who also performs Reiki Sessions on animals. Speaks English and Portuguese. 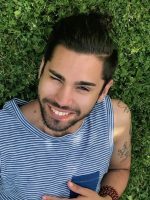 Cecilia Bailey is a Relationship Coach and Reiki Practitioner located in Southern Connecticut but also available for long distance sessions. She is an animal lover who also performs Reiki Sessions on animals. Speaks English and Portuguese.